Any disruption such as becoming overweight rattles the hormone balance in the body and ends up perpetuating a vicious cycle of weight loss and gain. Once this delicate balance of weight control is thrown out of “kilter” it is very hard to get it back on track again. It is important to note that any sudden or rapid weight loss is ultimately more dangerous to your body than any weight gain. To combat this situation you must control your hunger hormones like insulin (your fat storing hormone), and ghrelin another appetite hormone. You must also focus on avoiding ingesting nasty chemicals and health destroying processed foods. 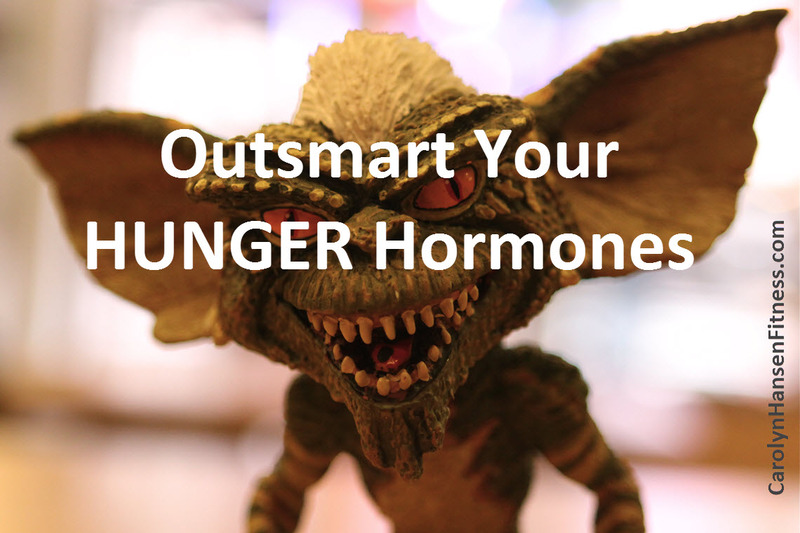 In order to outsmart your hunger hormones you need to adopt a more conservative calorie reduction program and a slow steady weight loss effort. It’s best to keep your tummy partially full at all times to avoid getting excessively hungry during the day. Your goal should be to eat the correct balance of complex carbohydrates while increasing the amount of protein calories taken in. Let’s face it, when we allow our fuel tanks to empty we find our bodies screaming for food suddenly and tend to reach for the first thing we can to satisfy it. Most often these are not healthy foods for the body. Truth is, extreme hunger sets off binge eating on high fat, high sugar foods that not only destroy the body’s metabolic balance, but leave you with the defeated feeling that you have let yourself down. Not only will you have to balance your hormones and get them back on track, but now you are also dealing with negative thought patterns in your mind that can be just as difficult to remove. Skipping meals during the day is not the solution either and will likely cause you to gorge at night which turns into steady weight-gain, loss of vital youth and good looks along with endangered health. The minute you decrease calories below a certain level, your appetite increases and you feel hungry. This in turn causes your hunger hormone ghrelin to stimulate your central nervous system and turn the appetite dial up and out of control. Decreasing that pesky hormone ghrelin is the key to losing weight. However, simply adjusting your daily eating to include 5-7 nutritionally balanced small meals daily, allows you to not only stay satisfied and energized longer, but you will knock the hunger hormone ghrelin out of the picture. Because your metabolism works side by side with your appetite the key to controlling appetite and body weight is to create a harmonious and synergistic relationship within your hormonal appetite control system which allows your body to make any changes needed to your fat burning machinery…your lean muscle mass. 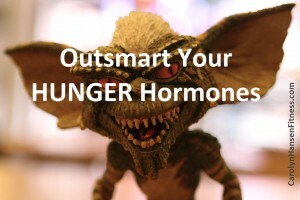 You must outsmart your hunger hormones with a conservative calorie reduction program and slow steady weight loss effort. Performing consistent, challenging exercises (you cannot support and fuel a proper strength training exercise program unless you are eating healthy, balanced nutrient-dense foods during the day) combined with a healthy harmonious appetite control system is the real formula for achieving permanent weight loss and seeing the body image in the mirror that currently lives in your mind. If you struggle to keep weight off after you’ve worked so hard to take it off, then you just need the proper coaching. My “Rebound Free Weight Loss” program can help. It’s time to toss away everything you’ve ever learned about dieting and exercise and discover what it really takes to win the weight-loss war.